​Mobile Grooming is becoming the favorite way to go according to recent national polls. Clients are finding the convenience a joy and the pets are more amenable in their almost home environment. No more crates and car rides and lengthy separation. Every animal has a unique personality and disposition. Because of this, every animal needs to be handled differently. This requires a groomer with a wealth of knowledge and experience. Whether it is a young animal, or an older animal, a dog, you need an expert who loves animals to effect a great result in the grooming operation. You can count on Janet of Posh Dawgs Mobile Pet Grooming to do a job as close to perfection as possible. Janet opened her salon ("THE GROOM ROOM") in the Countryside Animal Hospital in Clearwater﻿, Florida with her father, the veterinarian in 1982. Very quickly she gathered a loyal following of pet lovers in her very successful operation. She has over twenty years of grooming experience. 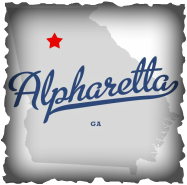 Since relocating in Alpharetta she has worked in the field of grooming and now has established her own mobile operation named POSH DAWGS PET GROOMING and is looking forward to providing new and old clients with her expertise and professional dedication. Posh Dawgs Pet Grooming is licensed and insured by USAA National Insurance.